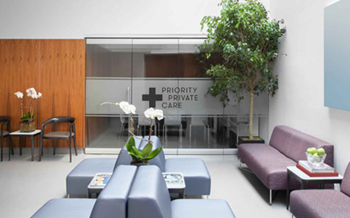 The New York Times covers concierge EDs such as those run by Priority Private Care, where affluent families pay thousands of dollars per year to gain access to VIP emergency rooms that — unlike hospitals that prioritize patients by acuity — get them in and out quickly by seeing only a handful of patients each day. The art-filled facilities don’t handle trauma, but instead address a market in which three-fourths of ED visits don’t involve emergency care. The membership fees don’t include the cost of services themselves, which are billed to insurers at pricey ED rates. 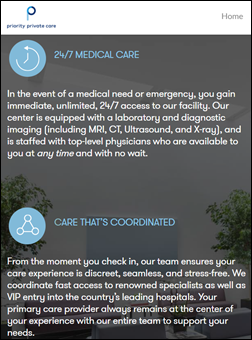 House calls, executive wellness services, and travel medicine are offered at extra cost. 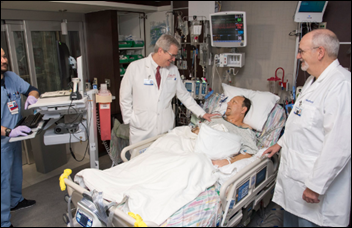 The facilities have clinical staff without much to do, so they don’t discourage low-acuity member visits. The article profiles a man who dropped by to have staff look at a troublesome pimple. The company has a cozy relationship with hospitals, offering “VIP services … including access to private rooms and direct admissions.” It has also extended coverage into the Hamptons, offering summer house calls and partnership with a helicopter service for medical transport. 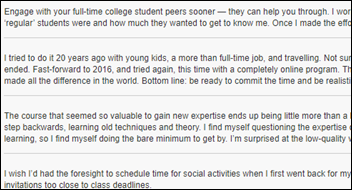 Most poll respondents don’t go to Twitter to obtain health IT knowledge, news, or opinions. Some commenters expressed shock that others don’t share their active Twitter involvement as a source of information and connection to various communities; one respondent “called BS” that so many respondents voted “not very” (I’m not sure what kind of conspiracy he’s picturing, but IP analysis at least suggests there isn’t an organizational one); one claims that people who don’t use Twitter lack critical thinking skills, and another respondent said those voting negatively must not know how to use Twitter to participate in the “thriving community of thought leaders, influencers, and curious minds.” Taking the other point of view was a respondent who said he has never understood why people waste time on Twitter; another who says he tweets but is pretty sure he’s the only one reading; and another respondent who says decision-making executives don’t use Twitter and don’t care about any of the reasons listed by the Twitter fans. The vote was actually about six percentage points more in the “not very” category until a few folks tried to drum up support via Twitter in urging non-HIStalk readers to vote, but the resulting swing wasn’t significant. New poll to your right or here: which organization do you feel more positively about following Cerner’s protest of University of Illinois Hospital selecting Epic? 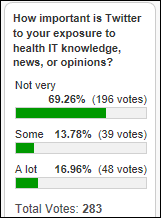 This week’s question is more pragmatic and targeted to health system IT management. I might have to add my own response since I’ve done this enough times to have some war stories. Listening: a surprise, marvelous new release from The Longshot, a new band formed by Green Day front man Billie Joe Armstrong, with a sound that ranges from dead-on “Please Mr. Postman” Beatles to thrashing punk to lighter-swaying balladry. I’m also liking (without being able to articulate why since I really don’t enjoy Sting much) the unlikely Sting-Shaggy reggae collaboration on “44/876,” which Rolling Stone aptly describes as “Roxanne hitting a Sandals resort” (trivia: the Jamaica-born Shaggy served in the US Marines as an artilleryman in Operation Desert Storm and developed his singing style from calling marching cadence). It channels the joy and color of a Caribbean island with UB40 playing on a cheap radio, which makes me long for coconut shrimp and a Carib beer while sitting on a decrepit plastic chair ankle-deep in pee-warm beach water. I’m also enjoying new, frenetic basement pop from Ohio-based pop Remember Sports (which just changed its name from just Sports), along with some great Norway art rock from Gazpacho, which has a new album due any day now. 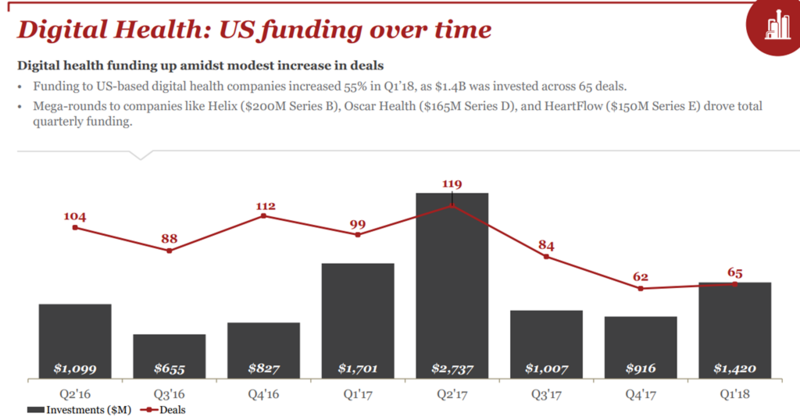 A PwC/CB Insights report finds that VC seed round investments have dropped considerably even as overall funding increases, AI had its first big investment quarter, and healthcare was the #2 sector (behind Internet) in both number of deals and deal value. Sheridan Memorial Hospital (WY) will go live with a Change Healthcare cardiovascular information system in 2019. Hutchinson Regional Medical Center (KS) will switch from Philips Healthcare to Merge Healthcare cardio in September 2018. Vocera’s board elects President and CEO Brent Lang as chairman, replacing Bob Zollars. I interviewed Brent a few weeks ago. A Black Book survey of 3,000 hospital EHR users finds that two-thirds of hospitals don’t use patient information from outside their own EHRs because it’s not available within their workflows. Top-ranked vendors in client experience are CPSI Evident (small and rural hospitals), Meditech (101-250 beds), Cerner (teaching hospitals), and Epic (over 250 beds). 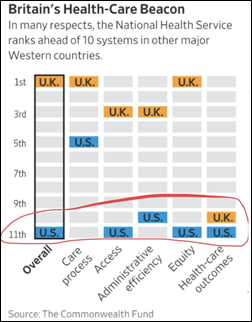 A Wall Street Journal article says the UK’s NHS is struggling with long waits and shortages of beds and doctors, but as Eric Topol notes, they’re still far ahead of the US. UCSF’s Bob Wachter, MD worries in a New York Times op-ed piece that immunotherapy-based cancer treatments have made it harder to help families consider palliative care, with the staggeringly expensive and side effect-causing treatment offering near-miraculous cures but only for around 15 percent of patients. Wachter advocates that “comfort or cure” decisions not be considered as mutually exclusive by insurers, training doctors on how to explain benefit vs. harm, and including in studies the question of how to identify that minority of patients that could benefit. 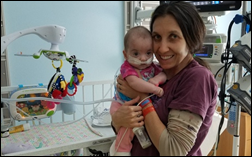 This is brilliant: Children’s Healthcare of Atlanta at Scottish Rite soothes NICU babies by recording their mothers singing and reading stories to them, with the CDs then played back to them when the mom can’t be there. WiserTogether releases a new version of its Return to Health platform that guides consumers to the most effective treatments for their specific conditions and attributes. The SSI Group will present at the HFMA Texas State Conference April 22 in Austin, TX. Surescripts will exhibit at the AMCP Managed Care & Specialty Pharmacy Annual Meeting April 23-26 in Boston. Philips Wellcentive will exhibit at the NAACOS event April 25-27 in Boston. ZappRx will exhibit at the ASEMBIA Specialty Pharmacy Summit April 29-May 2 in Las Vegas. ZeOmega releases the annual updates to the integrated patient assessments of its Jiva PHM solution.